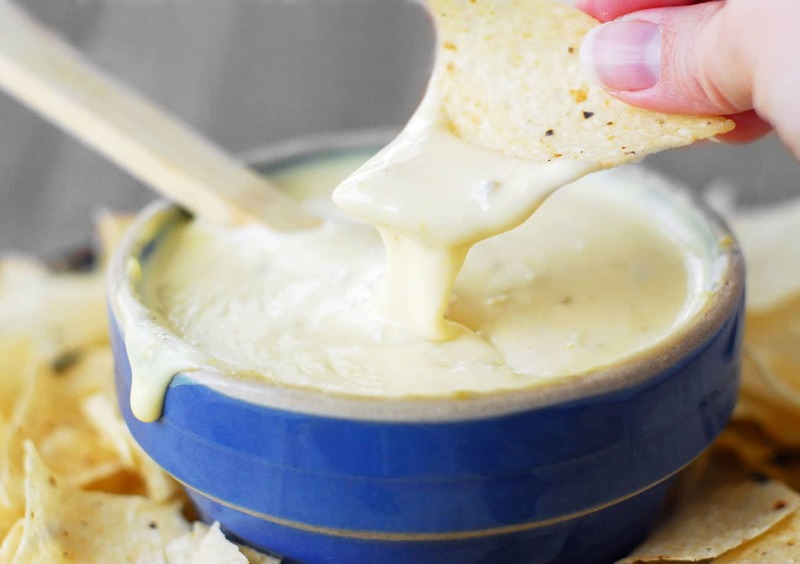 This Easy Queso Blanco Recipe is a quick way to make white cheese dip using Velveeta and peppers. Serve with chips as a side dish or an appetizer! Our favorite place to vacation is Wilmington, North Carolina. Over the years it’s become our home-away-from-home. We love visiting our friends who live in the area and, of course, we love spending time on Wrightsville Beach. One of our favorite local restaurants is called Islands Fresh Mex Grill. Everything we’ve tried at the restaurant is delicious but we all agree that our favorite item on the menu is the chips and queso! 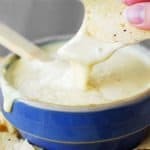 Not long after returning from one of our vacations, I tried making queso blanco dip and it turned out great! Then, I tried to make it again, when a bunch of friends were at our house and it didn’t work as well. I realized that the biggest difference in the queso recipe was the cheese I used. The first time I made it, I used Velveeta Queso Blanco and the second time I used white cheddar cheese. While it tastes great with the white cheddar cheese, it was way too thick. As my friends filled their plates, they let me know that the dip was too thick and wondered what how I could thin it out. Finally, I added a bunch of salsa to the dip and that thinned it. So, I wanted to go back to the first time I made the white cheese dip using Velveeta to see if it would turn out smooth again… and sure enough, it did! 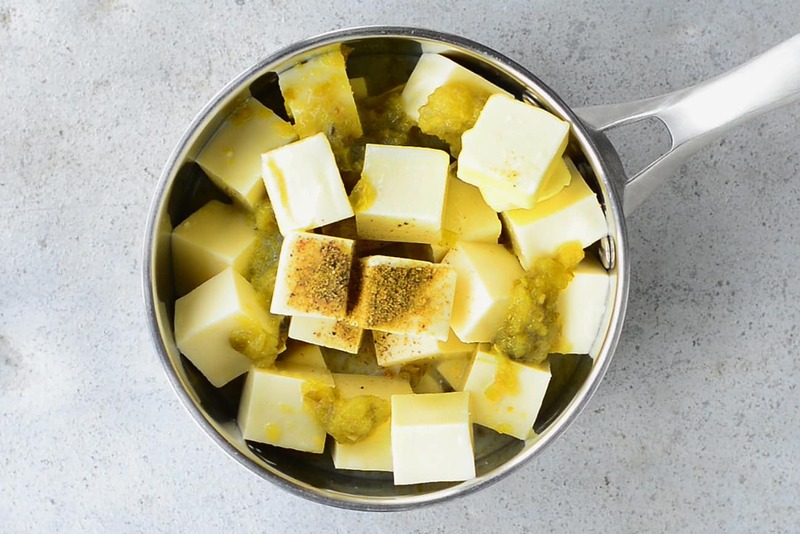 To make the queso blanco recipe, cut a two-pound block of Velveeta queso blanco cheese into cubes. Puree one 4-ounce can of diced green chilies with two tablespoons of canned, diced jalapenos (add more or less depending on how hot you want the dip). 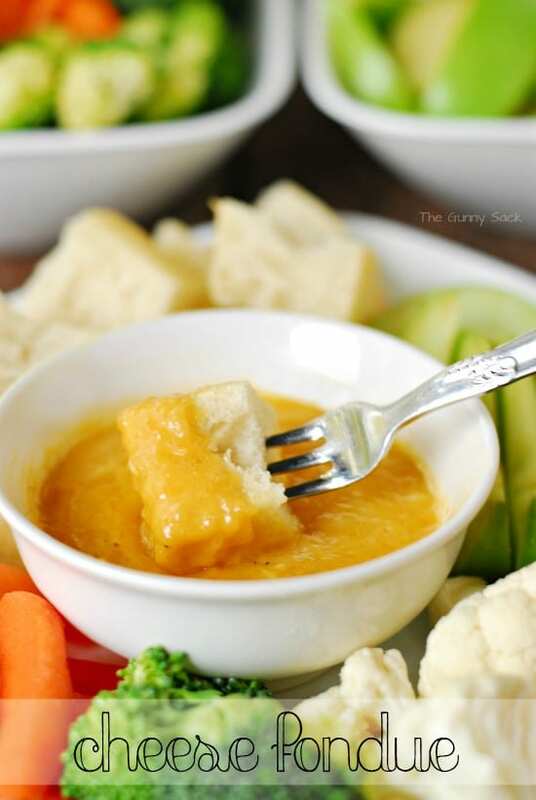 Put the cheese cubes, pureed peppers, milk, butter, cumin, and pepper into a saucepan. Over medium heat, melt everything together, stirring often until smooth. Add additional milk if needed. If you don’t eat it all right away, you can store it in the fridge and reheat the queso blanco in the microwave. 1. Can I leave the diced green chilies and diced jalapenos out? Yes, but you may need to add more milk because the liquid in the peppers helps to thin out the queso. 2. 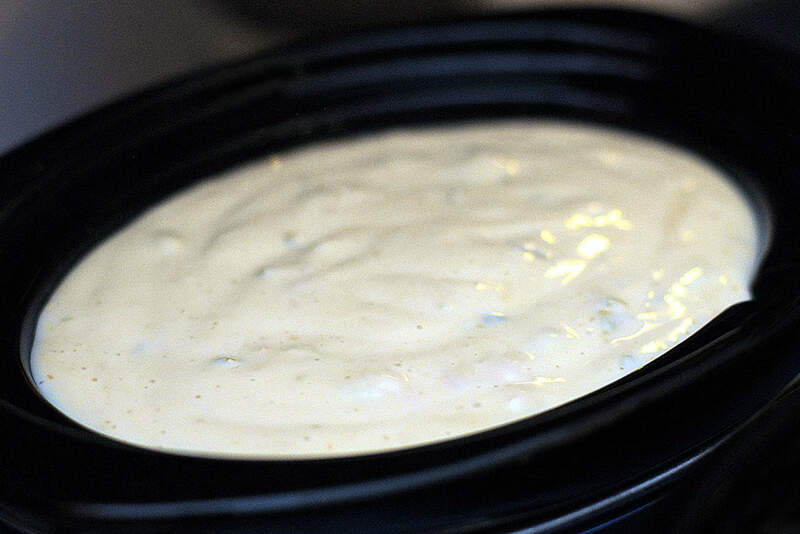 Can this easy queso blanco be made in a crockpot? Yes! Just put all of the ingredients in the slow cooker and cook on low for 1 – 2 hours. Stir until smooth. Turn the temperature to warm for serving. 3. Can this recipe be made ahead of time and reheated? Yes, this queso blanco reheated. Add more milk it necessary. 4. I can’t find the Velveeta Queso Blanco. Can I make queso with the regular Velveeta instead? Definitely! It will change the color, of course, and change the flavor but it will still be delicious. 6. How about toppings for the queso blanco? Try topping it with diced tomatoes, cilantro, or jalapenos. 7. 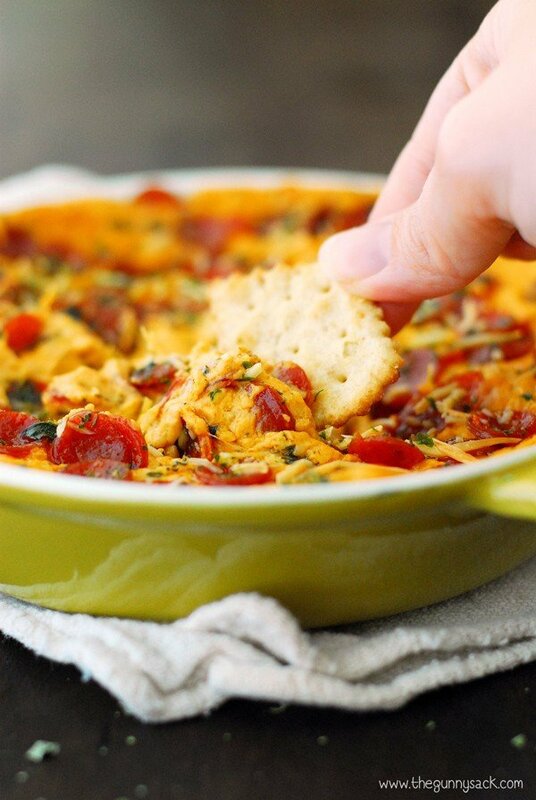 To make this queso more hearty, include some meat. 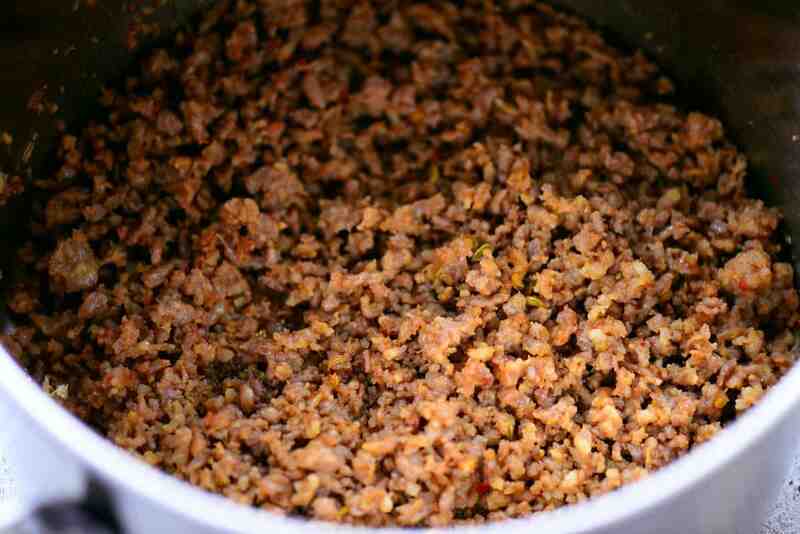 Try adding one pound of cooked hot Italian sausage or seasoned, cooked, ground beef taco meat. 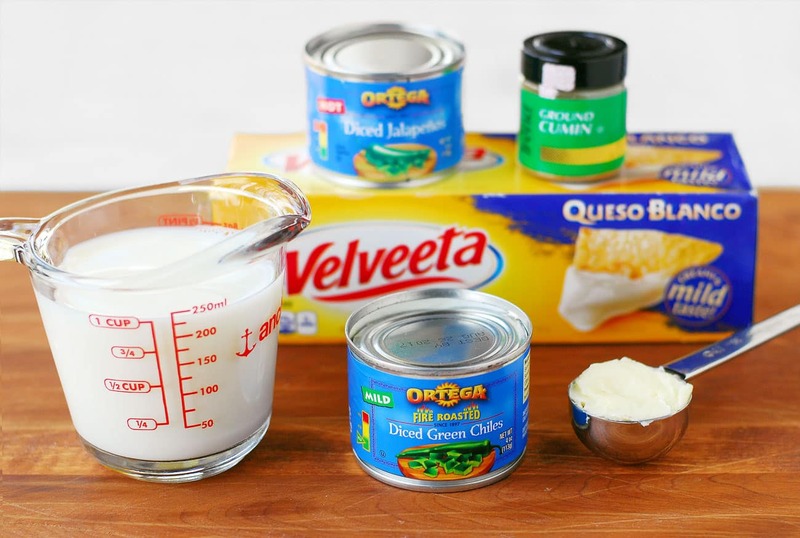 This Easy Queso Blanco Recipe is a quick way to make white cheese dip using Velveeta and peppers. Serve with chips as a taco side dish or a party appetizer! 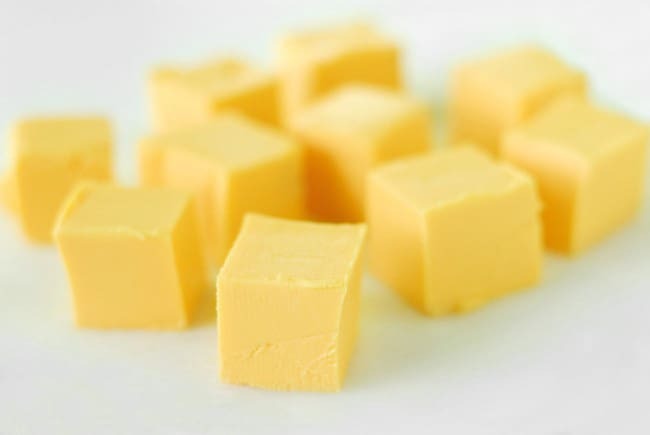 Cut a two-pound block of Velveeta queso blanco cheese into cubes. Melt over medium heat stirring often. 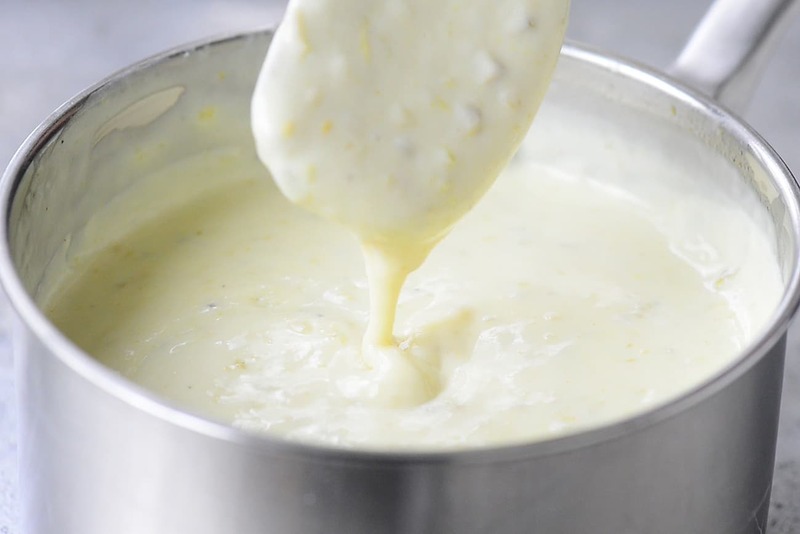 Add additional milk to thin the cheese sauce, if desired. If serving at a party, keep warm in a slow cooker set on the lowest setting, stir occasionally. Store leftovers in the fridge. 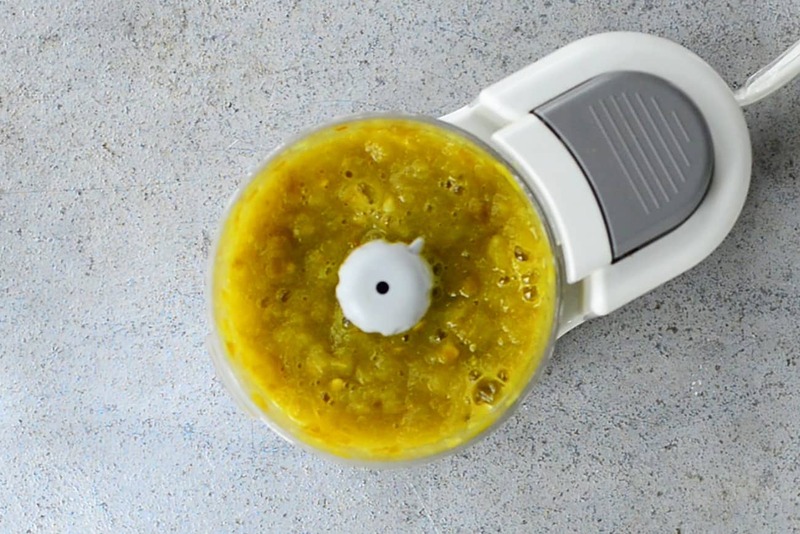 Reheat in microwave in 30-second intervals, stirring in-between. Love this! Tastes great. Thanks for the recipe. Found this site and recipe by chance! Making this tomorrow. This made me a little homesick. We just moved from Topsail Island (of course did all of our “in town” stuff in Wilmington!) we lost our home in hurricane Florence and just miss Wilmington and our island so so much! If you’re ever up in Hampstead by Wilmington try Burrito Shak if you haven’t yet! It was our favorite place to eat! Puts Chipotle and Moe’s to shame! Not even close haha! That’s terrible! We were so saddened by all of the damage! We love all of the beaches in the area. We’ve rented a beach house in Topsail and in Carolina Beach. We hope to make a trip there late this spring or during the summer. I can wait to try the Burrito Shak. Thanks for the suggestion! Can this also be made in a pressure cooker? You could have saved yourself a lot of trouble and money and just bought the Nice N cheesy queso Blanco from Kroger. Tastes exactly like all the white queso dips in Mexican restaurants (who used process American cheese instead of Mexican cheese). And it has jalapenos in it. I thin it with milk to make it whatever consistency I want. I am just sick that Kroger us closing all its stores in central NC. I have to find if this is made under another name or pay to buy it online somehow. I also spend a lot of time in Wilmington. Live 2 hours away, had lots of business there and my daughter went to college at UNCW. Can heavy cream or evaporated milk be used as a substitute for the milk? I’m also going to try adding ground pork sausage. Looks amazing! I’ve never tried making it with either one. 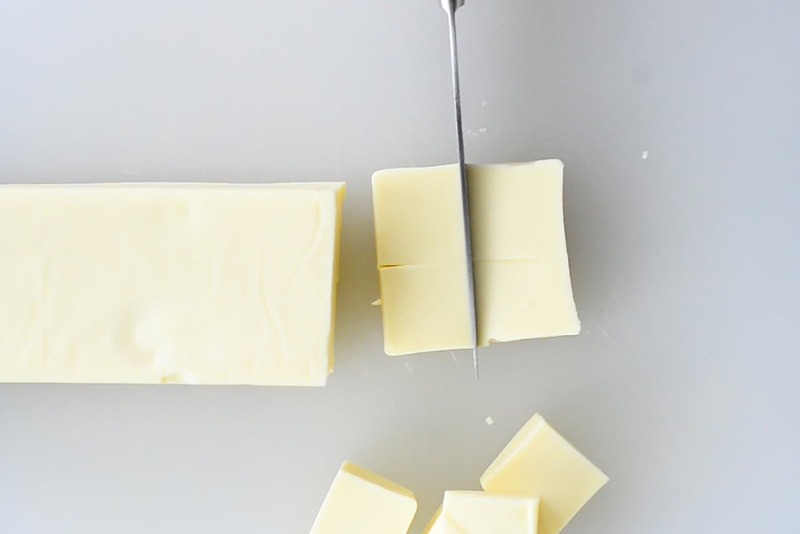 If you decide to give it a go, both heavy cream and evaporated milk are thicker than milk so you might need to you more. Okay, thanks, I’ll stay with the original recipe. Thank you! I’ve been looking for a good white queso recipe. I made this recipe exactly like it is tonight and it was delicious! Thank you, this one is going in the recipe book! I made this recipe last night and it is fantastic! So glad to have found this! Hi!! 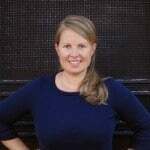 Im a Wilmington local and I absolutely love islands I found this website by chance and I just couldn’t not comment. I love queso blanco. Excited to try this! Yum! I will “third” that Island’s queso is awesome!! Great recipe. Had no problem printing it. I’m from Wilmington myself, and I can attest that Islands’ queso is the bomb! Wilmington is our home-away-from-home! I’m always counting the days until we can return again. My local restaurants generally don’t mix ANYTHING with their white cheese dip, so that’s become my preference as well. Just wondering what changes should be made to leave out the peppers and jalapenos. I’d think it would be that easy, but when I mentioned doing it to someone else, they said the liquid in the peppers would help thin the dip, so I’m a bit confused. Thanks! Last evening we did a Taco Night with our small group from church. 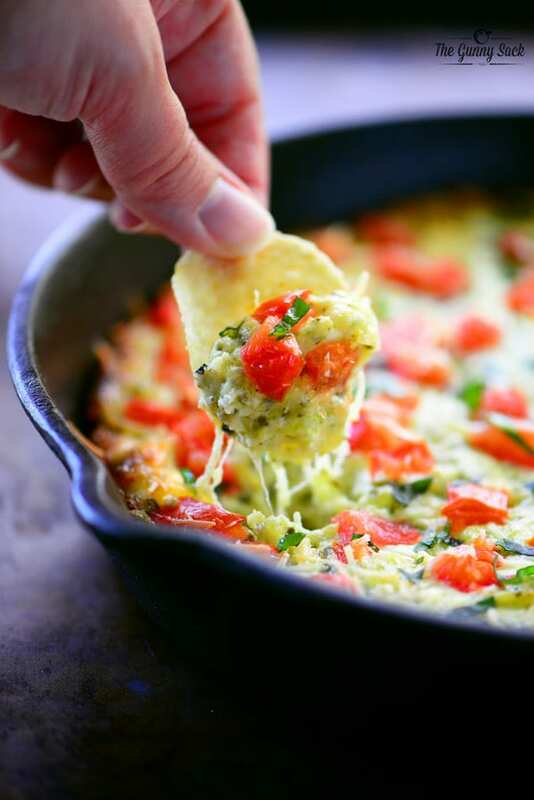 I was searching for a white queso and came across your recipe through Pinterest. I’m so glad I made it and by the way, such a hit at the get together! My husband also loved it and he said that it reminded him of the white cheese dip at our local Mexican restaurant- score! I will definitely be making this again. I made mine fully in the crockpot. 1 hour on high to get things going, 1 hour on low and then switched to warm since it was all melted together. You can use white American cheese slices from Walmart. Add some frozen spinach. You can use equal parts 1/2 and 1/2 and whipping cream. OMG! I just tried to print recipe and it ate up 17 pages! Make a printable version, for crying out loud! Too many trees died for this recipe! There is a printable version available. When looking at the recipe, click on the PRINT box on the right side underneath the photo displayed within the box. Maybe you should have noticed it before you hit the print button! No need to be rude!! Or just print “current page” or whichever page the recipe comes up on. Simple as that! Made this with orange Velveeta instead of the white because our store didn’t carry the white. Otherwise I followed the directions exactly. Came out delicious. Oh I used fresh jalapeño and green peppers instead of canned. Delicious! I’m going to store now ! Will make this today!! Will comment latter ! just made this!! it is amazing! thank you! Can I switch out the velveeta with a different cheese? i didn’t know Velveeta made a white cheese for dips. On a mission now! 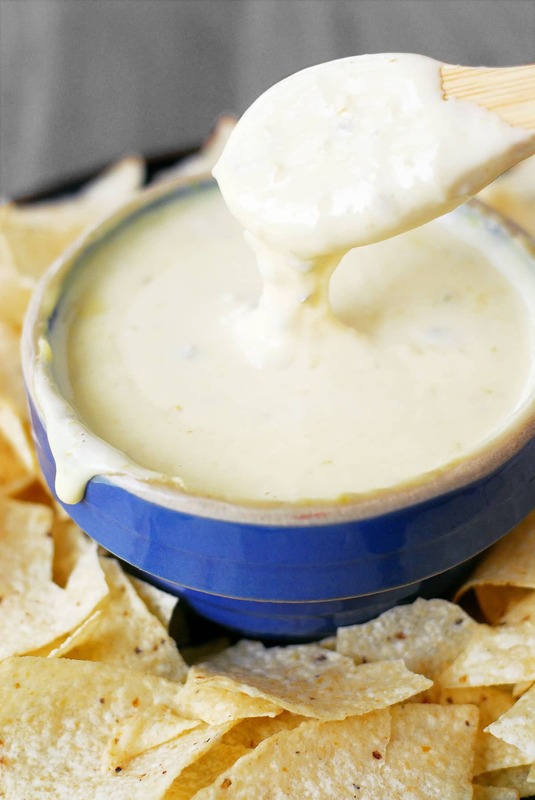 How much does this white queso recipe make? I like Velveeta for EVERYTHING, and I use it in my macaroni and cheese, my dips, my queso con salsa–EVERYTHING! I don’t care at all what others say, I like it!! Hi, loved the queso dip but mine got thick pretty quickly. Then whenever I reheated it – it was still thick. Any suggestions? Did that happen to anyone else? Thanks! Add more milk. It will keep it from getting thick so quickly once removed from heat. Also use more milk when reheating. I will so be making this! It looks so good! After mixed can this be put in a slow cooker/crockpot? Yes, I would suggest keeping it on the warm setting (or low if your crockpot doesn’t have a warm setting) and stirring it occasionally to prevent the edges from burning. Enjoy! Love the white spin on it…it is always my fav when ordering out! A lovely recipe. Thanks so much.